Do you have any major home repair projects coming up? Are you 100% sure that your home is free of all toxins? Almost 250,000 homes across Canada have some asbestos in their tiles, plumbing, or insulation. If your home was built prior to 1986, you’re at high risk for asbestos in the home. If you’re wondering how to identify asbestos, this article’s for you. We’ll give you the straight scoop on asbestos in the home and help you get started with a local asbestos removal company. Asbestos is a combination of six naturally-occurring minerals. It has been in use for more than 100 years. It resists heat and has been used in thousands of products including roofing material, hair dryers, and brake pads. The reason it was used for so long is that it’s resistant to heat and extremely strong and durable. In the last few decades, however, researchers noticed that tiny particles of asbestos break off when it gets moved or damaged. Those tiny particles float through the air and become lodged in people’s lungs, causing serious illnesses like asbestosis and mesothelioma. In fact, asbestos exposure is the only way that a person can get mesothelioma, an uncommon form of lung cancer. If your home was built before 1986, there’s a good chance that you’ve got asbestos somewhere in your home. The good news is that asbestos doesn’t become dangerous until you disturb it. If your insulation is in good shape, you don’t have to worry about microscopic particles. However, you should take the time to get a professional evaluation. It can be hard to tell if you’ve got asbestos without an outside lab test. Potential sources of asbestos include heating ducts that have a distinctive white tape on them, boiler insulation materials, “acoustic” tiles on your ceiling, and asbestos-filled concrete or cement siding. There is also some cause for concern if your floor tiles measure exactly nine inches by nine inches. Of course, not every floor tile of this size contains asbestos, but it’s still worth checking out if your tiles are that size and in bad shape. Other potential locations of asbestos in homes include a “popcorn” ceiling, attic insulation that contains vermiculite, and floor mastic. Again, you don’t have to worry about asbestos removal if your home is in good shape. You may want to have it removed to ensure it won’t be a problem. If you’re thinking of starting a home improvement project, it’s probably best to wait for the lab results. If you’ve been exposed to asbestos for years, you do have a risk of asbestos poisoning. Asbestosis is a serious condition that you might not realize you have. The problem is that it can seem like mold poisoning. People who work near asbestos are at a higher risk for asbestosis and mesothelioma, but your home could still be making you sick. If you worked in construction, on a ship, or as an asbestos removal technician, you have a higher chance for serious illness. If you have asbestos insulation in poor condition that’s close to your furnace, there’s a good chance that it’s airborne. Your first step is to figure out whether your home has asbestos in it. If you have symptoms of asbestos poisoning, you should immediately see a doctor. Is There a Certification for Asbestos Removal? When it’s time to find an asbestos removal specialist, you should make sure they’re certified. There is a certification process for asbestos removal and certain steps that contractors need to follow. Before you get started with removal, your assessment company should provide you with a detailed, written record of the asbestos in your home. They should definitely test all suspected materials within your home. You should use a different removal company than your assessment company. This step will make sure you’re only getting the removal services that you need. Also, make sure that your removal company is accredited, bonded, and insured. You should ask for local references and client testimonials. If they can’t provide references, it’s time to find another contractor. When the contractor is doing work in your home, it’s vital that they seal off the area they’re working on. The last thing you want is for airborne asbestos to contaminate the rest of your home. They should seal off all wall vents, wall outlets, and windows. Make sure that children and pets are also removed from the area. Home-based asbestos is not as common as asbestos in commercial buildings, but it’s still important that your removal company has a good reputation. Asbestos that’s in good condition doesn’t need to be removed. In fact, disturbing it could kick up the airborne particles that cause disease. In general, you should get your home’s air quality tested at least once per year. You could have dust, mold, or other toxins contaminating your indoor air. If you are wondering how to identify asbestos in your office or retail store, leave it to the professionals. They’ll perform laboratory tests and give you a blueprint for asbestos removal, just like your home. We’ve been serving the greater Toronto area for more than 29 years. We offer indoor air quality testing, mold remediation, and asbestos removal. All of our mold technicians are certified, and we’re also certified for asbestos removal. If your property was built before 1986, you have a much higher chance of having asbestos materials like on drywall compound, flooring,and insulation. It’s important to invest in asbestos removal because it can take years before you see symptoms. The sooner we can get your home back to normal, the better you’ll feel. 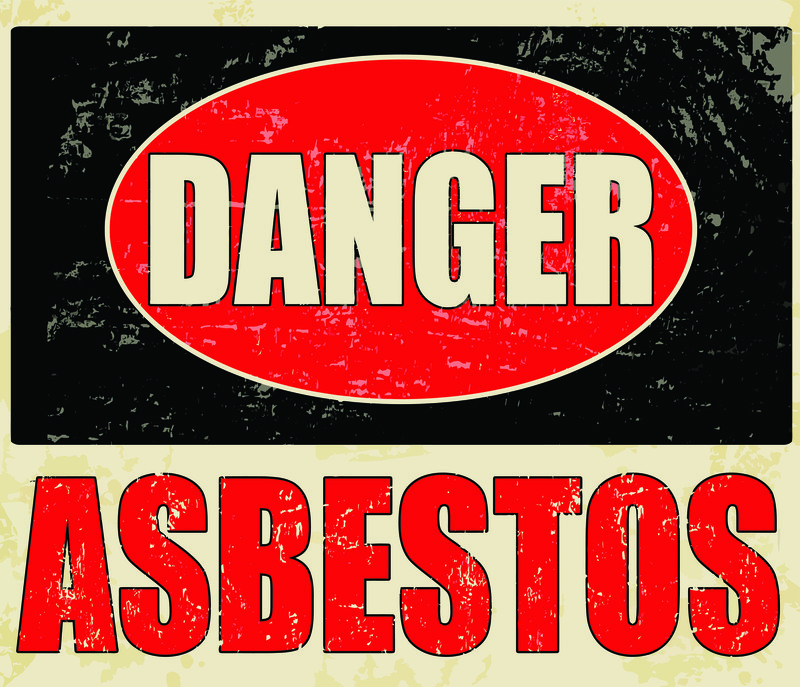 We offer asbestos assessments, so give us a call or send us an email online. We’ll gladly come out and evaluate your home’s condition right away.